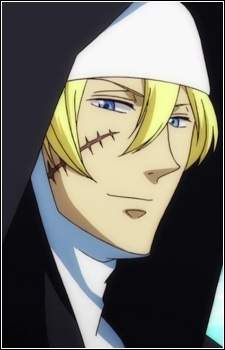 Age: 29 Size: 208 cm Weight: 92 kg Zodiac: Aquarius Blood type: A A strange 29 year old gun-wielding man wearing a nun uniform. He therefore is named 'Sister' by the village chief. He was born in England and apparently a former mercenary who served the army.